2a) For THIN bedding spread 4-5 bags of Softwood Bedding throughout the stall evenly. 2B) For THICK bedding spread 6-8 bags of Softwood Bedding throughout the stall evenly. 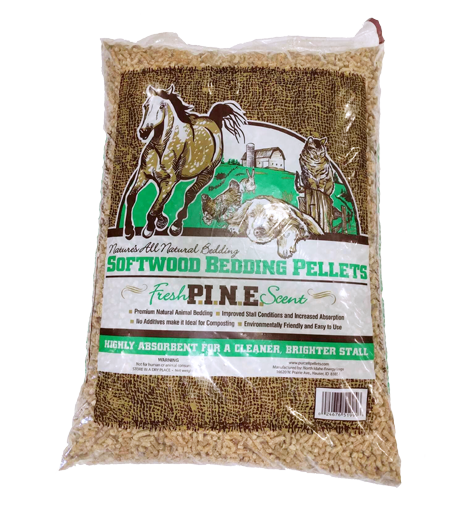 3) (optional)- To instantly create a softer stall, mist the pellets lightly with water. The bedding will soften as the horse urinates and walks on the pellets. -When the bedding has reached maximum absorbency, strip the entire stall and start the process again.